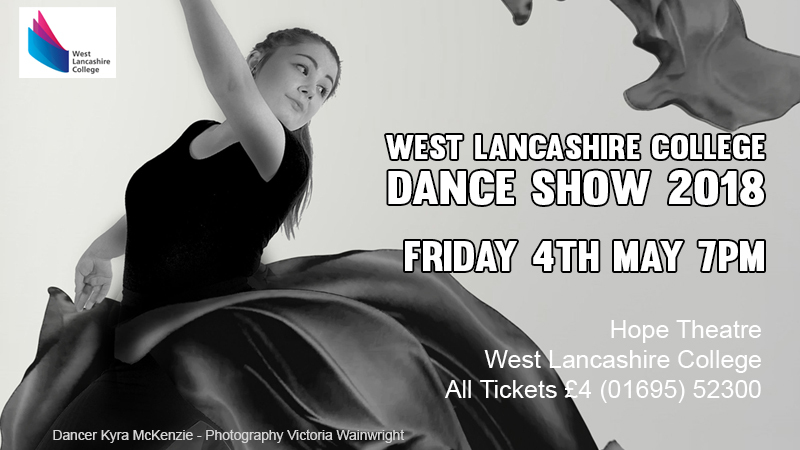 West Lancashire College Performing Art’s Department are proud to present The Dance Show at The Hope Theatre, College Way, Skelmersdale, WN8 6DX this May. Our award winning students will perform for one night only in their yearly Dance Show. Performing different styles of dance including; Jazz, Tap, Ballet, Commercial and Contemporary dance. These choreographed performances are designed to take the audience on a visual journey through movement and dance.